Back home in Connecticut it’s asparagus season now. Spring has arrived and with it spears of this delicious green veggy are shooting up out of the earth. When you can get your hands on locally grown asparagus you’re in for a real treat. It doesn’t require much fussing to make an incredible asparagus dish. I love it simply using E.V.O.O, salt, and pepper. Selecting– Choose firm yet tender stalks with vivid green color and closed tips. 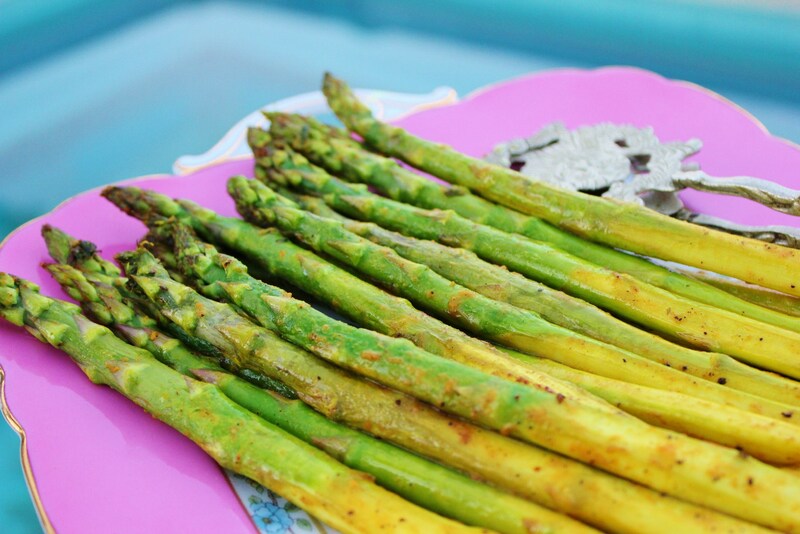 Prefer local asparagus as it will be more fresh and flavorful. Storing – Once picked, asparagus quickly loses its tenderness, so it is best to eat it the same day you purchase it. Otherwise, wrap asparagus with a damp paper towel or cotton dish towel and store it in the fridge. 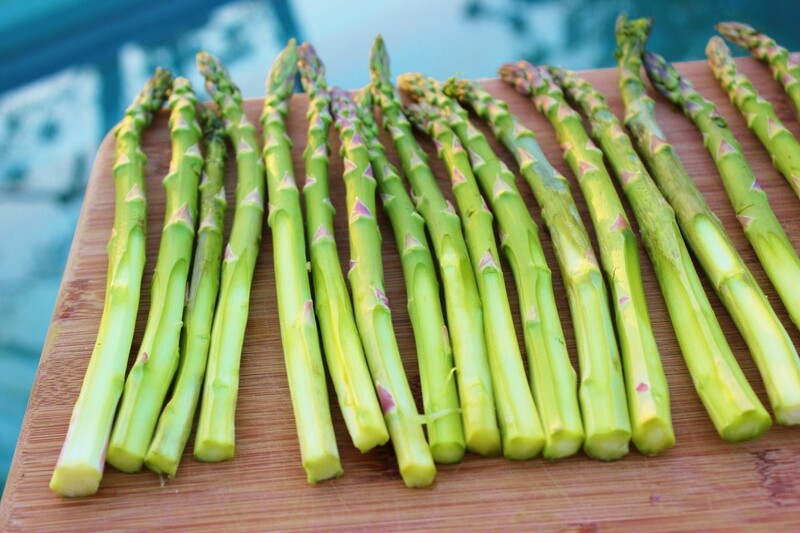 Preparing – Wash asparagus in cold water and trim the bottom ends of the stalks. Peel the skin off the lower portion of the thicker asparagus spears to remove the woody strings. Then, cook it however you would like – grill, boil, steam, bake, or try the recipe below. According to Ayurveda, asparagus is considered to be cooling and astringent. It is also demulcent meaning it has a slightly ‘slimy’ effect which soothes mucous membranes. Together, these qualities pacify pitta and kapha doshas and soothe vata. Heat ghee in a large braising pan on medium heat. Add curry powder and allow it to become aromatic. Add asparagus and lemon juice and cook, stirring gently until asparagus are tender, not mushy. Add salt to taste.